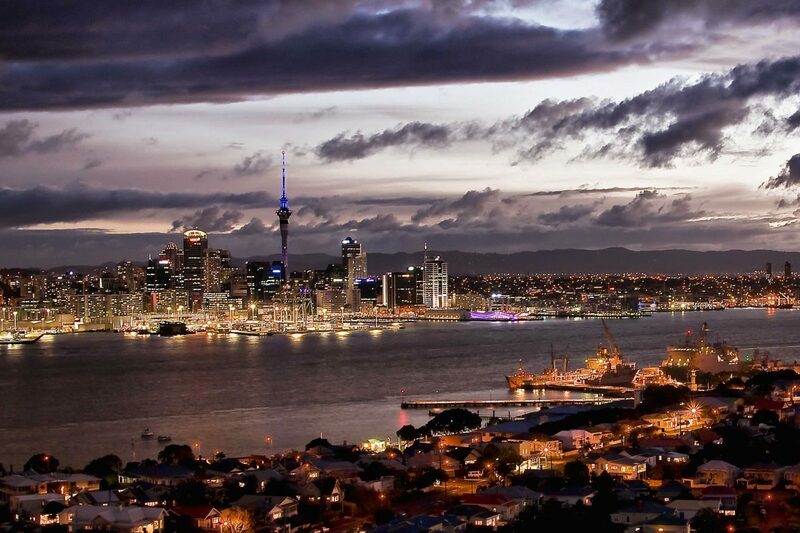 Multicultural and forward-looking, Auckland is an established city that is still emerging. With a strong sense of the past embedded in the landscape, its rich cultural tapestry reflects modern times. Like the yachts dotted across the harbour that gave rise to its nickname, the ‘City of Sails’, Auckland is a city surging forth at a great rate of knots. In the heart of the city, Albert Park takes pride of place on the slopes by the University of Auckland. 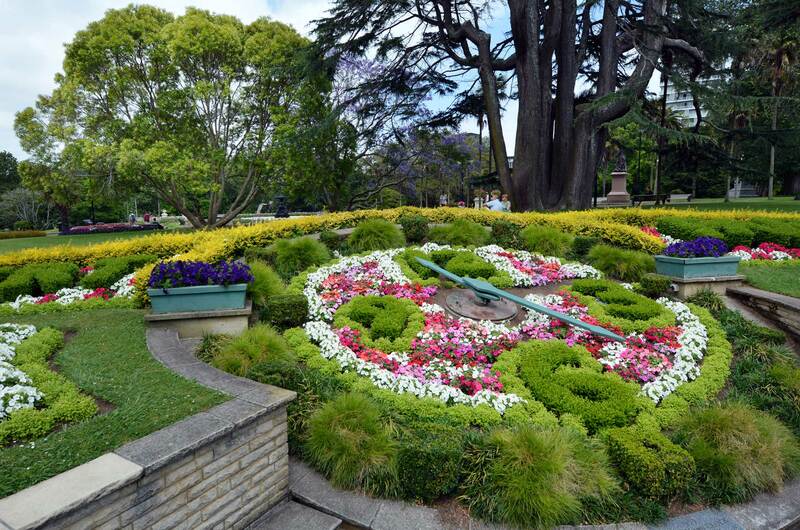 Pathways lead through native trees towards the central feature fountain, flower gardens, the band rotunda, various statues of significance and the electrically powered Laidlaw Floral Clock (at its best in late January and late June). Also in the CBD, on the other side of Queen Street, is Myers Park; a narrow strip of green land which includes an alley of towering palm trees, a playground and various artworks. East of the city the Auckland Domain covers 75 hectares, developed around the cone of an extinct volcano. With its formal gardens, open green spaces, duck ponds, playing fields, sculptural works and statuary, it’s the perfect place for a picnic. 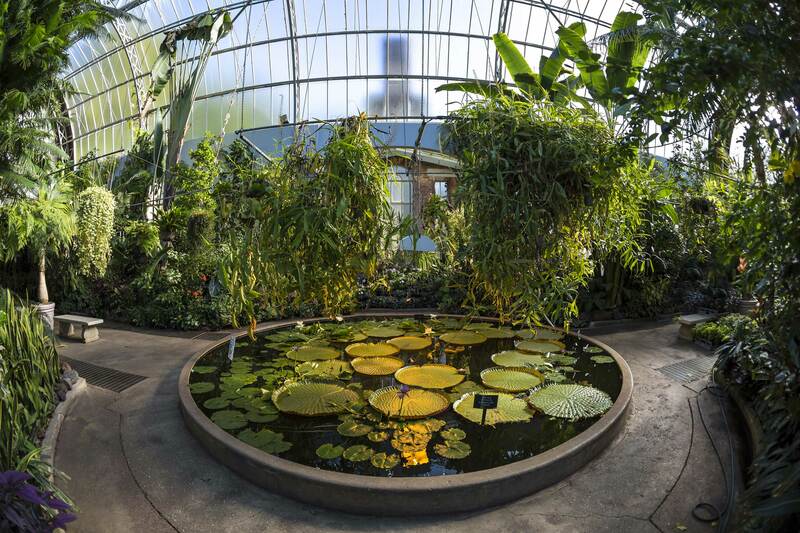 Visit the historical Wintergardens – these two Victorian style glasshouses house an ever-changing display of tropical and temperate plants. The courtyard, with its sunken pool and marble statues, evokes another era and the Fernery is a real delight. The Auckland Botanic Gardens, in Manurewa to the south, showcase native forest and beautiful gardens with a distinctive South Pacific flavour. The kids will love the Potter Children’s Garden which is full of secrets and surprises including a maze, a desert and a jungle. An open space that is entertaining, educational and enchanting for all. Cornwall Park in Epsom is a vast expanse of land that showcases Auckland’s heritage, ecology, wildlife and community; it brings the countryside to the city. Gifted by early settler Sir John Logan Campbell, this is a place for everyone to enjoy for all time. It houses playgrounds, the Observatory, a restaurant and a small museum, as well as sheep and cattle. The new café, situated near the rotunda, is the perfect place to enjoy a coffee and bite to eat while watching the world go slowly by in a beautiful setting. Auckland has plenty of cycle paths, including Te Ara I Whiti, the magenta-coloured Lightpath, which has interactive lights along one side. Boardwalks and walkways weave their way through the city for a different perspective. 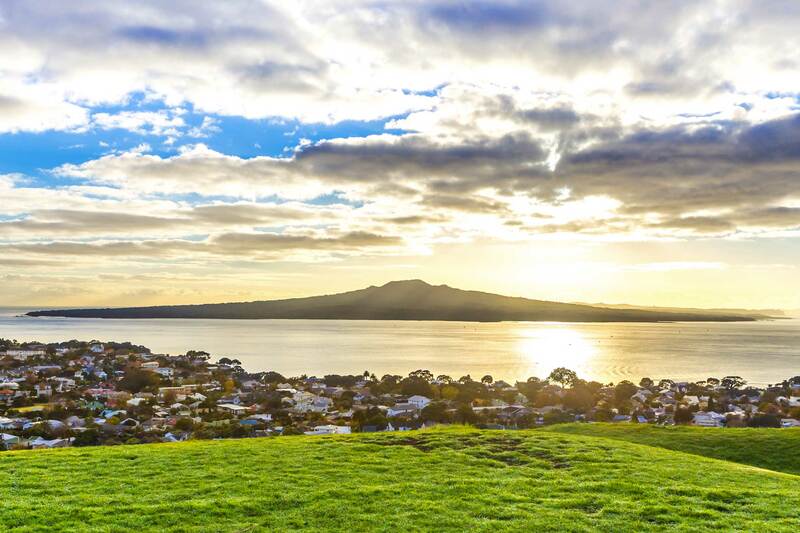 Walk around Lake Pupuke in Takapuna or the Basins in Orakei or Panmure – these are all volcanic craters. In West Auckland, the Te Atatu Peninsula Walk is a leisurely level walk which showcases the city, the harbour and its bridge from a superb angle, along with plenty of protected birdlife in the surrounding wetlands. 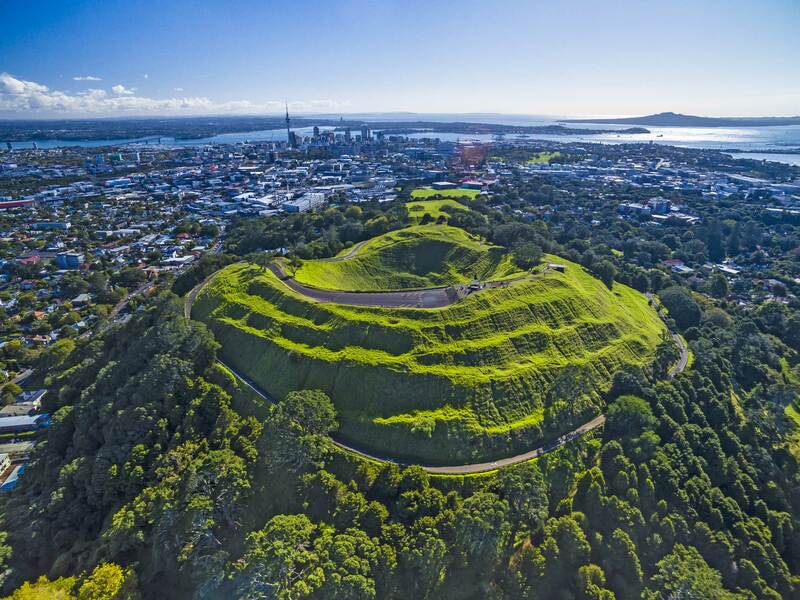 Auckland incorporates approximately 53 volcanic cones spread across the city, many being where important Maori pa were once sited. Be assured, they are dormant and well worth walking up for city views from various perspectives. Maungakiekie (One Tree Hill) lies in a domain adjoining Cornwall Park and affords views across both of Auckland’s harbours. The obelisk at the summit is a memorial to Maori with the grave of Sir John Logan Campbell beneath. Walk up Maungawhau (Mt Eden); at 196 metres above sea level, its peak is the highest natural point on the Auckland isthmus and dates back some 28,000 years. In Devonport, on the North Shore, is Takarunga (Mt Victoria). The panoramic views of the Waitemata Harbour and Hauraki Gulf are breath-taking. North Head is one of the oldest volcanic cones, having been formed more than 50,000 years ago. Visit the North Head Historical Reserve, a fabulous place to explore and picnic; there’s a tunnel complex and various military installations built for the world wars. Mt Hobson, Mt Wellington, Mt Albert and more … unique volcanoes of all shapes and sizes throughout the city can be climbed and enjoyed. 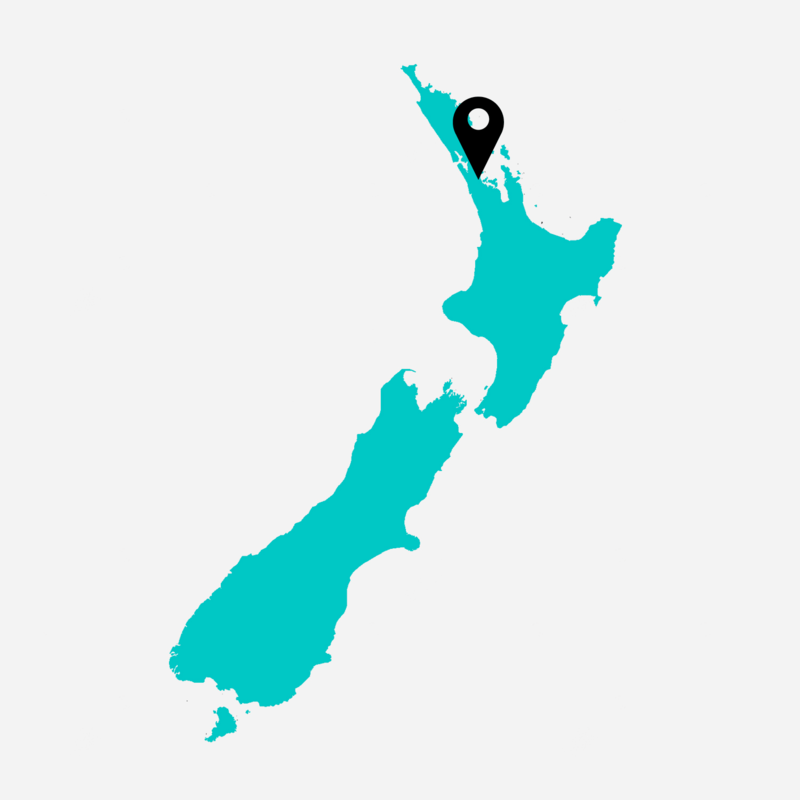 A special feature of Auckland’s geography is the Hauraki Gulf Marine Park with its 50+ islands and five marine reserves. Many islands are managed by the Department of Conservation for all to enjoy, some are sanctuaries for endangered species requiring a permit to visit. Rangitoto, a circular volcanic island, and familiar sight from the eastern shores and hilltops of Auckland is a short ferry ride from downtown. Hike to the top for glorious views, explore the shoreline from a sea kayak, take a leisurely walk amongst native birds and plants, or camp out overnight at neighbouring Motutapu island. Tiritiri Matangi, a predator-free wildlife sanctuary, is another easy day trip by ferry. Book in advance (places are limited) and take all supplies (no food available on the island). Guided walks on offer with plenty of wildlife to be seen (including the flightless, cheeky takahe and the tuatara). A lighthouse and a Visitor Centre, along with great beaches and swimming make for a very satisfying day out. Waiheke Island is close to the city, yet it feels so distant. Regular passenger and car ferries traverse the Gulf daily, and many people live permanently on the island. The infrastructure is excellent and there are plenty of activities on offer. Laze on a beach or while away the afternoon at a stylish eatery. Visitors with a taste for adventure are well catered for (hire a scooter, try the flying fox zipline, go horse riding) while those who are there to relax can do just that. There are lots of galleries and artist studios to visit, and Oneroa Village has a selection of excellent cafés, restaurants and shops with a summer vibe. 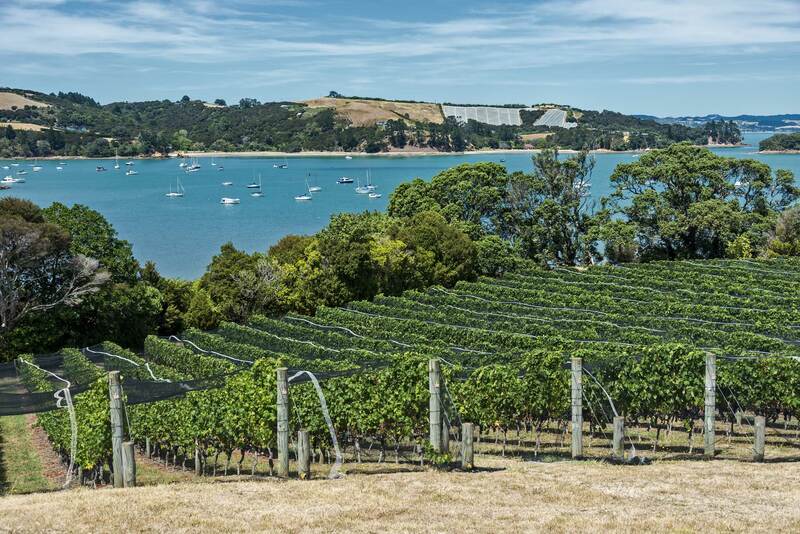 • Stoneyridge Vineyard, in the Onetangi Valley, was established in the early 1980s and is a firm favourite on the island. The team offers quality wine and food, and values gratitude, welcoming smiles and making people happy. • Tantalus Estate, situated nearby, is a winery, craft brewery and restaurant that will impress with its jaw-dropping style and fresh, local produce. The first vintage was created in 2014 and Tantalus has since received a number of local and international awards. • Casita Miro specialises in Spanish and Mediterranean style cuisine with an emphasis on relaxed ambience and shared plates in an art nouveau-inspired pavilion. With a string of awards, Cat and her team will ensure a meal and experience to remember forever. Tastings are offered in The Bond Bar, a mosaic masterpiece. Don’t leave without trying their Madame Rouge, a French-inspired aperitif. • Mudbrick Vineyard was developed in the early 1990s and has become an institution for wining, dining, functions and weddings. It has its own heartbeat and a lovely feel. Further afield is Great Barrier Island — remote and beautiful, it is a nature lover’s paradise with hiking trails, hot springs, and incredible starry night skies (the island is an International Dark Sky Sanctuary). Get there by light plane (35 minutes) or passenger/car ferry (4.5 hours). 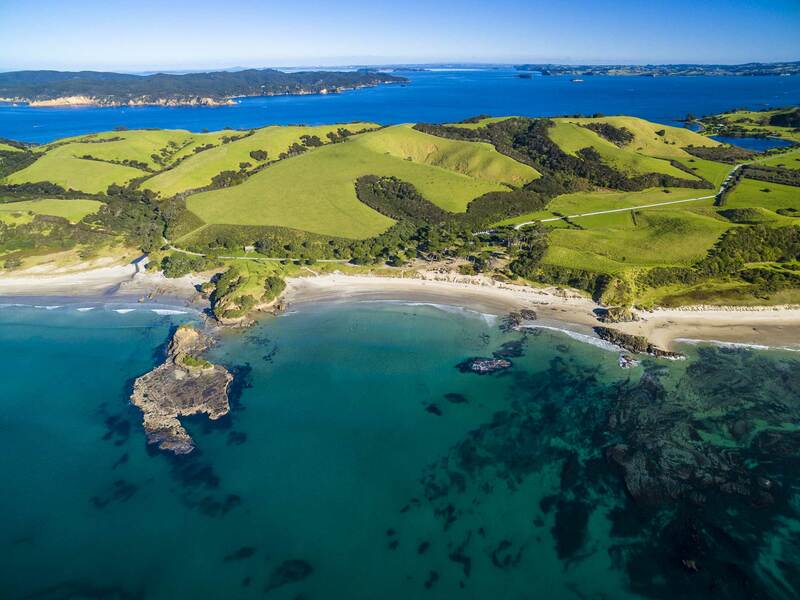 Also explore Kawau Island, Rotoroa Island and, over summer, the marine reserve Goat Island near Leigh in Rodney district (great for snorkelling and diving). 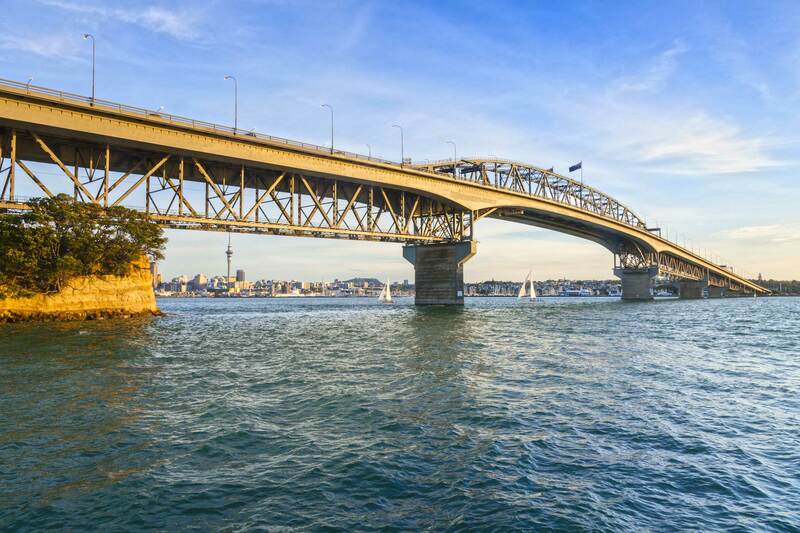 Being a city set on two harbours — Waitemata to the east and Manukau to the west – Auckland has a lot of coastline with plenty of easily-accessible beaches and inlets to enjoy. Drink in the seaside atmosphere at iconic Takapuna Beach on the North Shore or wander the deserted white sands and dunes further north at Omaha, Pakiri, Te Arai and Tawharanui . Call into ‘slow town’ Matakana en route; great food, shopping, exploring. A visit to the world-class Sculptureum – described as “A world of art, food and wine designed to inspire, uplift and amuse everyone who passes through.” — is highly recommended. With an outdoor sculpture garden, areas for contemplation, aviaries and galleries housing Picasso, Matisse, Rodin and more, it’s an astounding new offering which has been developed over the past decade by its proud owners, who are often onsite to talk about their project of passion. Take time to sit and contemplate life at one of the tranquil eastern beaches. Get a gentle workout walking along the Eastern Bays waterfront (Okahu Bay to St Heliers) while taking in the expansive sea views out to Rangitoto and beyond. Further afield, the Firth of Thames (Tikapa Moana), about 52 kilometres south-east of Auckland, is comprised of mudflats, shell banks, grass flats, mangroves, salt marshes and swampland. It’s a peaceful area, with plenty of birdlife. The historical fort and small village of Miranda is a focal point, especially for its hot springs. Try the famous fish and chips at Kaiaua Fisheries. The beaches on Auckland’s West Coast have black iron-sand and surging surf; they are rugged and spectacular, summer or winter. Piha is a popular choice — it’s about an hour’s drive from the city (40 kilometres ) and, while thronging with people in the summer, it can be deserted on a blustery winter’s day. Lion Rock stands guard over the beach where currents and rips are strong and unpredictable; care must be taken when swimming or fishing off the rocks. Plenty of bush tracks in the area and a laid-back beach community make this a pleasant day trip that ticks all boxes, while the spectacular sunsets entice visitors to linger a little longer. Karekare is dramatic and iconic, having been written about, painted and filmed — it featured in Jane Campion’s Oscar-winning film “The Piano” (1993). 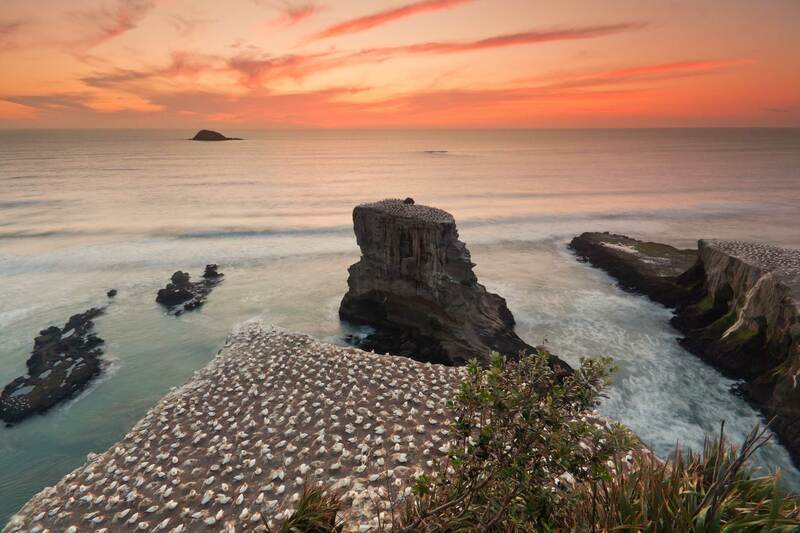 Tackle the giant dunes at Te Henga (Bethells Beach); enjoy the vastness of Muriwai (visit the gannet colony); or the isolation of Whatipu Beach – it’s too dangerous for swimming but takes seclusion to a whole new level. When on these black-sand beaches, be sure to protect the soles of feet as the dark sand absorbs the heat and can scorch, especially on hot sunny days. If sustenance is required en route, stop for tapas-style food at the new Marmaris (formerly the Refreshment Room) or a hearty brunch at Elevation Brasserie — both are set high up on Scenic Drive and have panoramic views of the Waitakere Ranges. Sailing is synonymous with Auckland and the America’s Cup regatta, set to happen on the harbour in 2021, is already generating a buzz. Spending time on the harbour is a magnificent way to get a sense of the essence of the city; Sign up for a sailing escapade or fishing trip or take a leisurely harbour cruise. Catch a rugby match at hallowed Eden Park — join supporters of the local team, Auckland Blues, for a home game and, if the All Blacks are in town, book a ticket early. Cricket matches take place regularly through summer months. Take a behind-the-scenes tour of the stadium; most weekdays 10:00am and 2:00pm, weekends at 11:00am. Be daring and bungy jump from beneath the Auckland Harbour Bridge or scale the beast with a fully-guided walking tour along custom-engineered walkways. Safe and very impressive. Paddle-boarding and kayaking are popular; hire gear from a selection of operators. Depending on the swell, surfers can head for the east or west coast when the surf’s up. Ellerslie Racecourse is the premier venue for horse racing in Auckland with regular meetings throughout the year, including the Auckland Cup in March. Brand new stabling facilities and a recent track upgrade make the course a truly world-class facility for race day action. The Hunua Ranges, a regional park to the east of the city, is the largest area of native forest in Auckland. 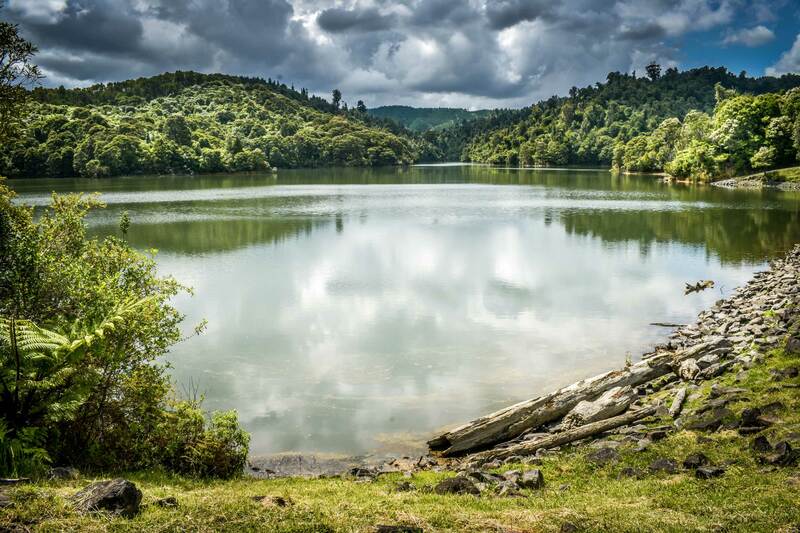 An ideal day trip for nature lovers, with many walking tracks, bike trails and the spectacular Hunua Falls. Woodhill Forest, north-west of the city, in Kaipara, is a place where the public can enjoy recreational activities including mountain biking, paintball, horse riding, four-wheel driving and off-road motorcycling. Permits required, check the website. There is also Tree Adventures, a tree-top course within the forest. Full of challenges, obstacles and ziplines, it’ll build confidence and engender a sense of accomplishment in a stunning natural environment. To fuel up before or after all the exertion, call in to the Tasting Shed in Kumeu which offers a sharing menu and indoor-outdoor dining. Or try Hallertau Brewery & Biergarten in Riverhead and experience their world-class beer bar, fresh food and friendly hospitality. Brewery tours and tastings also on offer, as well as live music at weekends. For an overview of Entertainment, Culture, Shopping, Where to Stay and Getting Around Auckland, see Part Two.